The Northwest Passage was a long-sought sea route connecting the Atlantic and Pacific Oceans across the top of the North American mainland. Between the 16th and 19th centuries, European explorers made numerous attempts to discover a route through the Arctic Archipelago around the north of Canada. The earliest explorations were based on a mixture of legend and conjecture, but later expeditions built on what was learned and gradually they extended their maps, at first of North America and then of the Arctic. Samuel Gurney Cresswell was the artist on the Robert McClure expedition. 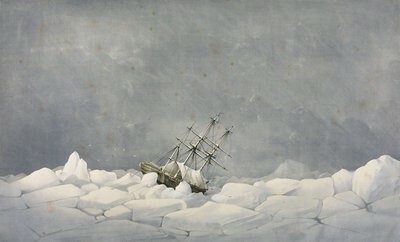 The largest number of expeditions in search of the passage were launched by Britain in the mid-nineteenth century, beginning in 1818 and continuing through the ill-fated expedition of Sir John Franklin in 1845, from which not a single man returned alive. The notion of an Open Polar Sea, though eventually proved chimerical, had a long-lasting influence on the search for the Passage and was still believed in by some navigators and geographers as late as the 1890s. Even after the claim of an Open Sea was disproved, the Passage retained its romantic allure, and when in 1905 the Norwegian explorer Roald Amundsen completed the first successful voyage through the Passage, the news electrified the world. Roald Amundsen, set out from Norway on 16th June 1903 to find the North West Passage in his boat the Goja with six crew. He overwintered for two years with his ship frozen in at the south end of King William Island at a place he named Goja Haven before sailing on in 1905. In October 1905 Amundsen completed the major part of his East West navigation of the North West Passage (NWP) by reaching Kings Point and meeting up with an American whaler the Charles Hanson he became the first person to have navigated the NWP. Being forced to overwinter again Amundsen wanted to tell his sponsors’ and the world, that he had achieved his goal of navigating the most difficult part of the NWP. 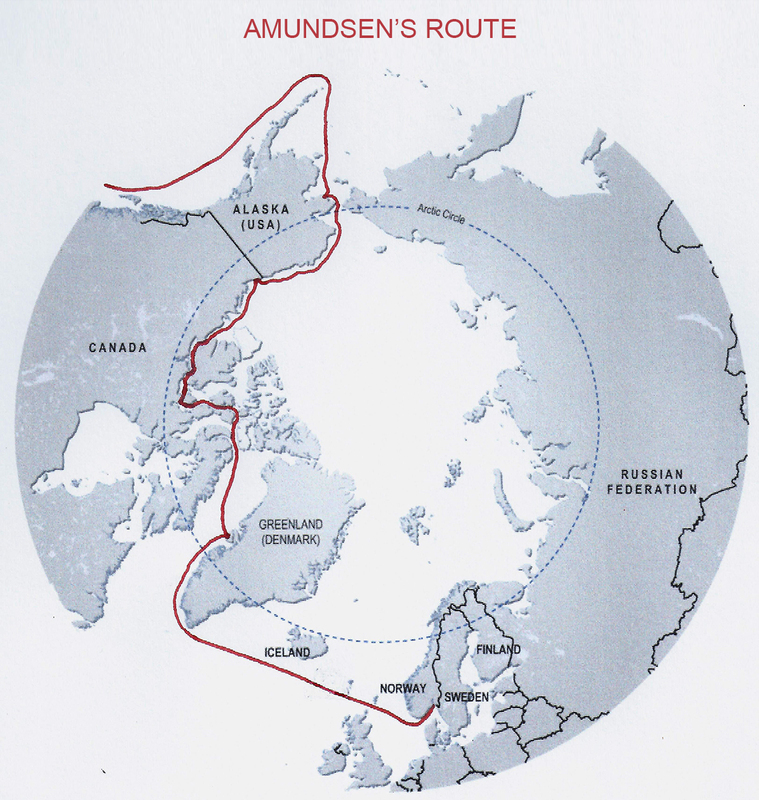 The remainder of the route, whilst not easy, was well used by American whalers and Amundsen knew that it would be possible to make the rest of the journey the following year. Leaving his boat to overwinter at Kings Point, Amundsen travelled to Herschel Island 36 miles to the west. From there he set out on 24th October 1905 on a sledging journey to telegraph the world of his success. 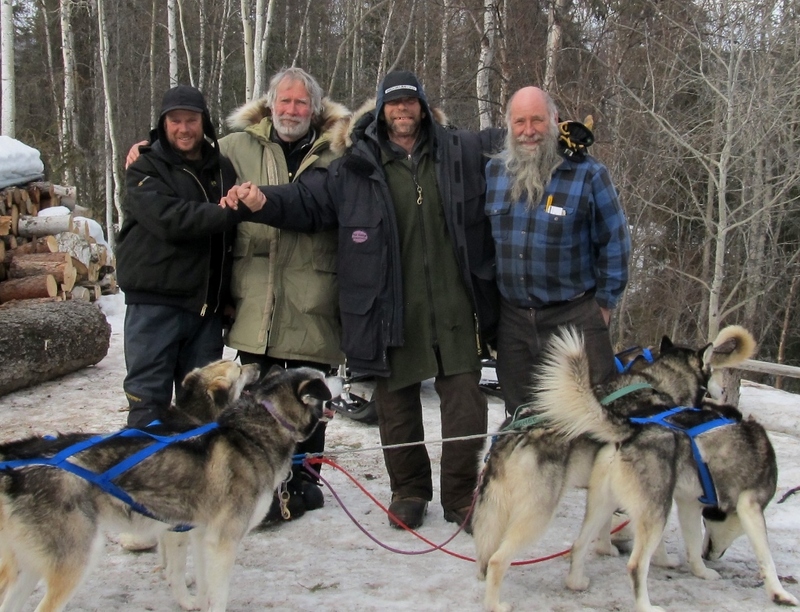 His route took him 3.5 miles across the sea ice to the mainland, up the Firth River, across the British and Davidson mountains to the Coleen River, then down to the Porcupine River. 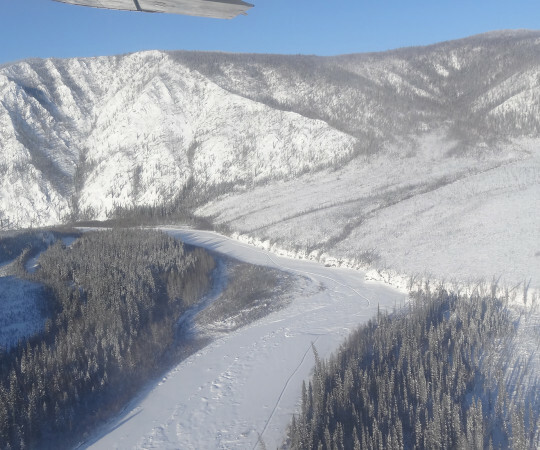 He then travelled down the Porcupine to its junction with the Yukon River arriving at Fort Yukon on the 20th November. 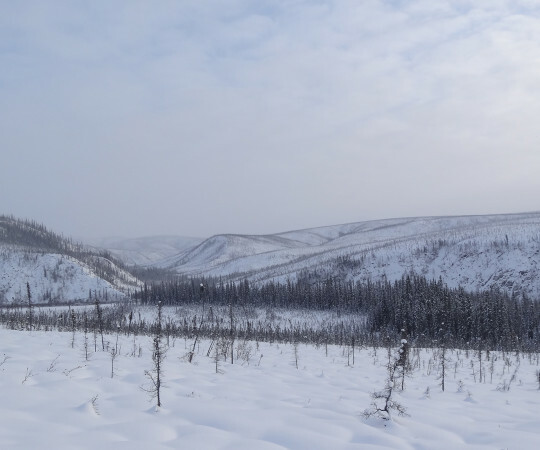 At Fort Yukon Amundsen was disappointed to discover that there was no telegraph and that he would have to travel on to Fort Egbert at Eagle City (the administrative centre of Alaska at the time). 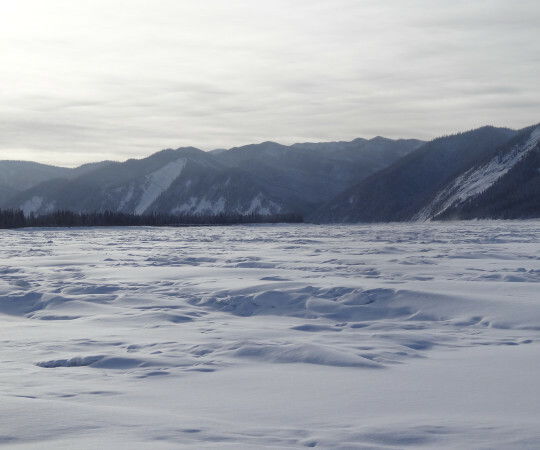 He arrived at Eagle city on 5th December. 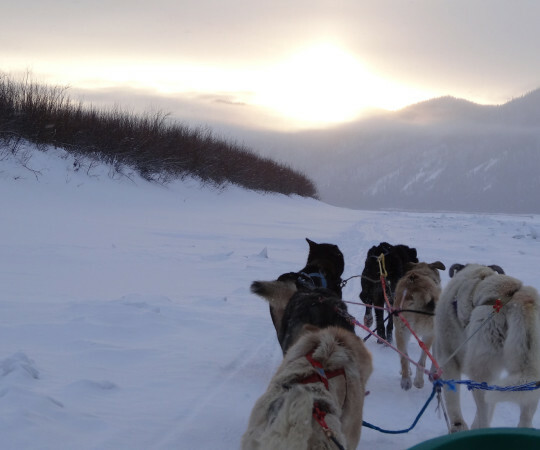 His journey to Eagle City by sledge was over 700 miles. Amundsen returned to his ship via Old Crow in January 1906. He finally managed to be free of the ice to sail on in August 1906 continuing his journey to Nome and on to San Francisco. There have been many further navigations of the NWP since Amundsen’s journey. Commercial navigation of the North West passage will one day become a viable major sea route. As a result there are increased tensions over its ownership and pollution. The first cruise ship to pass through The NWP was the M.S. Bremin in 2006. The NWP became navigable without the use of ice breakers for the first time in 2007. The first commercial ship to use the NWP was the M.S. Nordic Orion in 2013 carrying 73,500 tons of coking coal. Whilst commercial shipping can reduce journey time and distance by using the NWP, resulting in improvements in fuel usage and as a consequence reduced carbon emissions, it also could have a potentially dangerous impact on the Arctic environment from the risk of pollution.